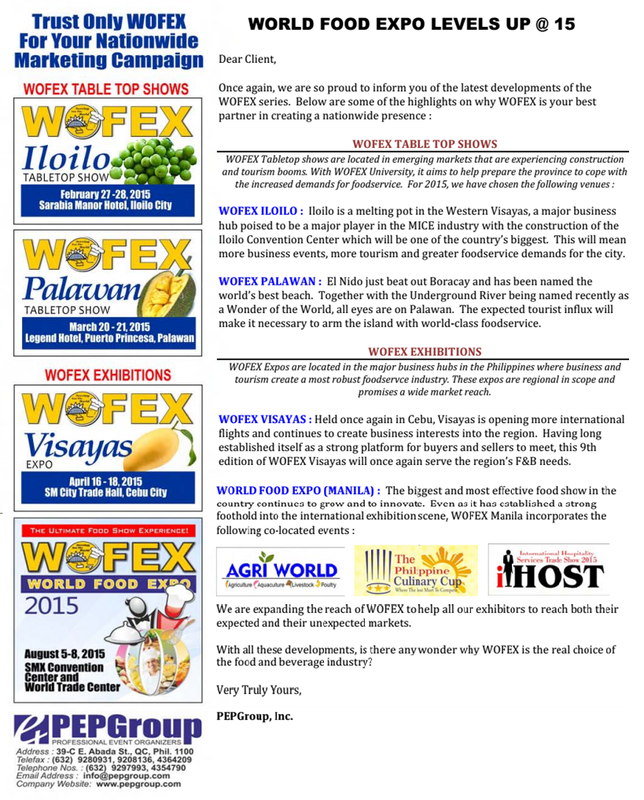 Condor POS Solutions RP Inc. Will be joining World Food Expo WOFEX 2015 that will be held at the following areas (Sarabia Manor Hotel ILOILO CITY, Legend Hotel Puerto Prinsesa PALAWAN, SM City Trade Hall CEBU CITY, SMX Convention Center and World Trade Center MANILA) See the image below for dates. We will be showing all of our products and we will also conduct a short demo. Come and See Us at The Booth!.